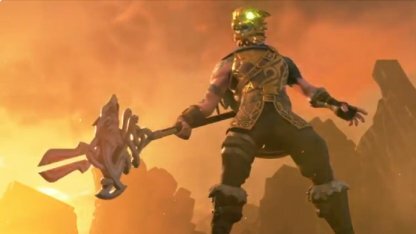 Learn more about Fortnite's Skin - BATTLE HOUND! 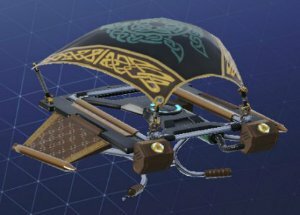 Check out the skin's full portrait, Pickaxe and Glider set and prices at the Item Shop! 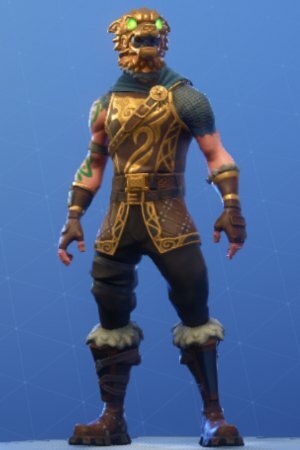 The Battle Hound is ready for a fight! Equipped with a Hound mask, leather armor, and chain mail, claw your way to the top with this Legendary Skin! 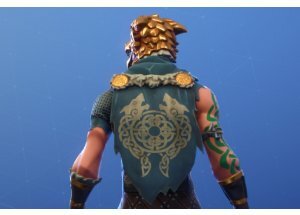 Available as part of BATTLE HOUND set. 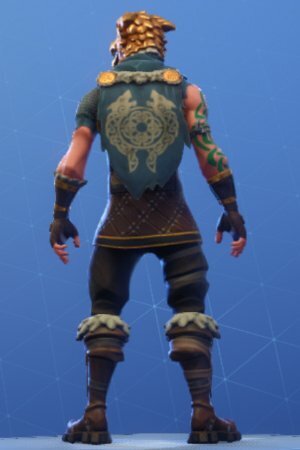 Battle Hound's signature cape has been through many fights. It even has a sigil featuring two canines! Prove that your bite is worse than your bark! 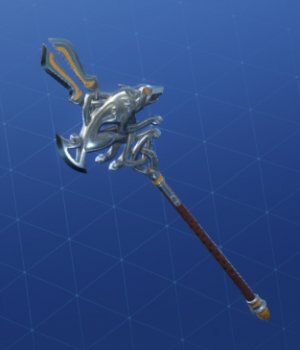 The Silver Fang Pickaxe is truly a material gatherer's best friend. Scare your enemies away and glide down with the Storm Sigil - embodying the loud claps of thunder and bright lightning!